ABOUT | Law Offices of Terence F. Traverso, P.S. Terence Traverso has been practicing law in the Seattle area since 1991. Since that time his practice has been limited to serious personal injury, medical negligence, and wrongful death claims. Mr. Traverso has litigated cases successfully in virtually all levels of Washington courts, including trial courts, the Washington Court of Appeals, and federal court. He is a member of the Litigation Section for the Washington State Bar Association and an Eagle member of the Washington State Trial Lawyers Association (Washington State Association for Justice) and the American Association for Justice (Association of Trial Lawyers of America). In addition to state courts, he has also been admitted and qualified to practice in the U.S. District Court for the Western District of Washington and the U.S. Court of Appeals for the Ninth Circuit. 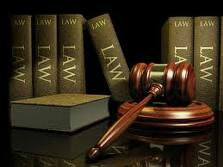 He is often asked by other attorneys to assist on their cases. He has received a rating of “Excellent” by Avvo Lawyer Ratings. After growing up in the Seattle area, Mr. Traverso obtained his Bachelor of Arts degree in Liberal Arts–Behavioral Science from Concordia University in 1988. While in college he was a decorated baseball player, team captain and Most Valuable Player, and scholar-athlete. He then received his Juris Doctor degree from the University of the Pacific, McGeorge School of Law in 1991. While in law school, he received membership into the prestigious Traynor Society for academic achievement (multiple years on the Dean’s List), and served as a writer and Assistant Editor for the school’s law review, the Pacific Law Journal (legislative review staff). After returning to Seattle and receiving his license to practice law in 1991, Mr. Traverso began representing injured police officers for their personal injury claims. After working in a prominent Seattle law firm, he moved his practice to the Seattle Police Officers’ Guild in the 1990s, where he limited his practice at that time to representing injured police personnel. (For more information about Mr. Traverso’s representation of injured police officers, click here.) 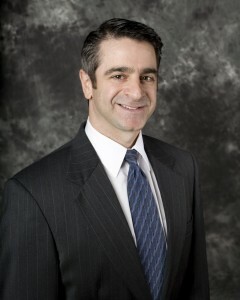 While his practice has substantially expanded over the years to include citizen clients today, Mr. Traverso continues to help officers and civilian employees from all Washington police departments, and their loved ones, with personal injury, medical malpractice, or wrongful death claims, in addition to representing all members of society with such claims. Terence Traverso also became an active player in competitive men’s fastpitch softball, and in 2012 he was inducted into the Hall of Fame of the North American Fastpitch Association. As an experienced personal injury lawyer, athlete, and college coach (former hitting coach/assistant coach for Seattle University’s Women’s Softball program), Terence Traverso is uniquely aware of the value of physical health and the personal losses that injury-accidents can cause. These personal losses often extend beyond just pain and frequently include devastating losses to one’s activities, work duties, relationships, and lifestyle. Terry lives on the Eastside with his family.